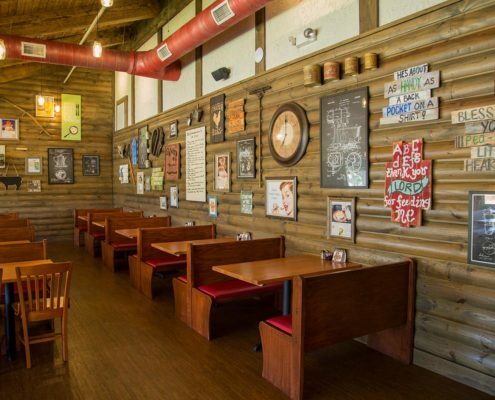 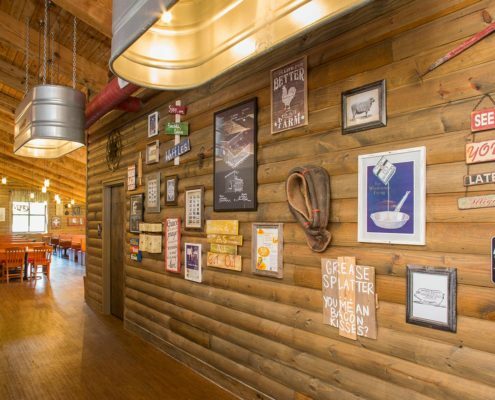 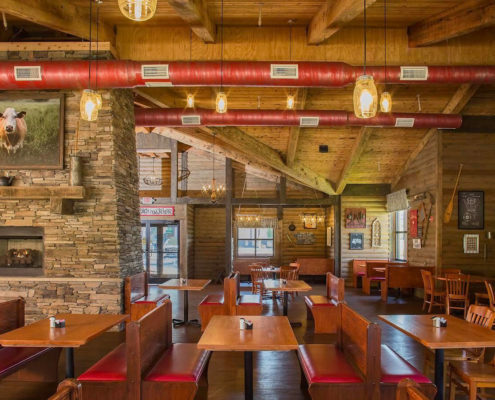 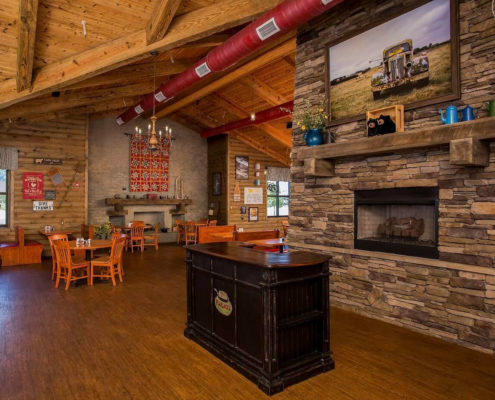 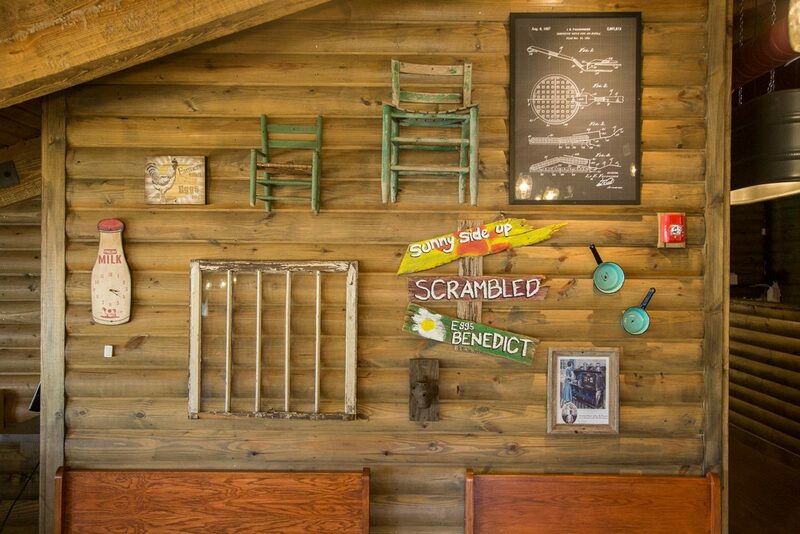 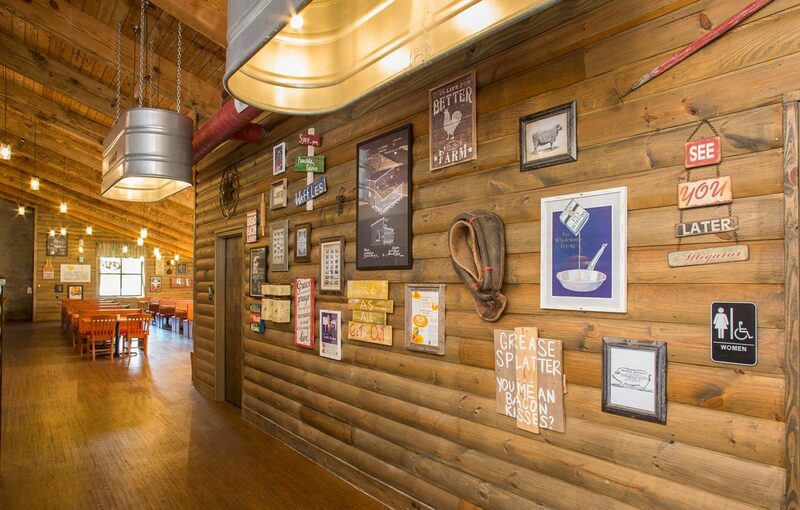 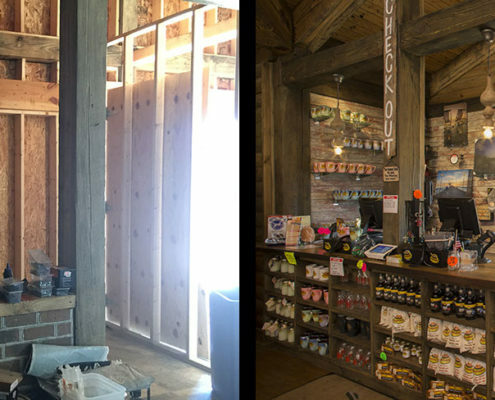 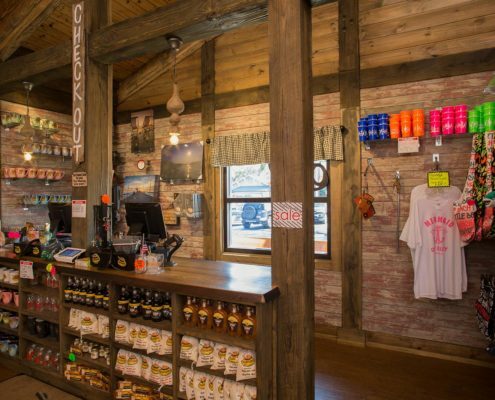 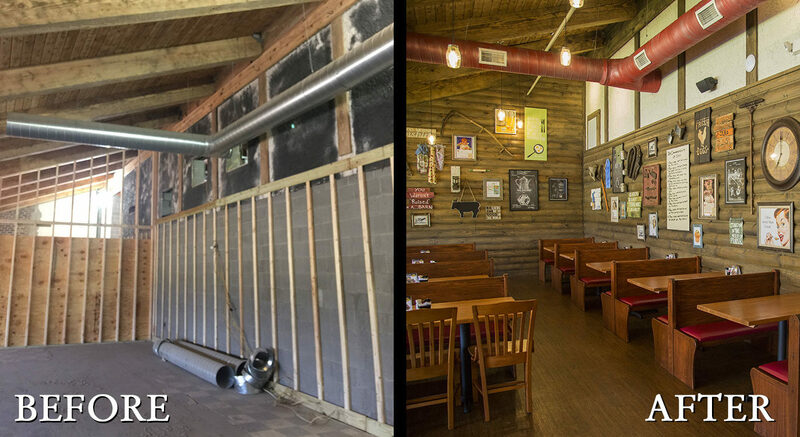 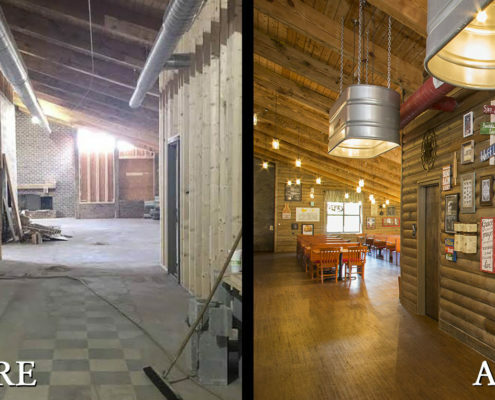 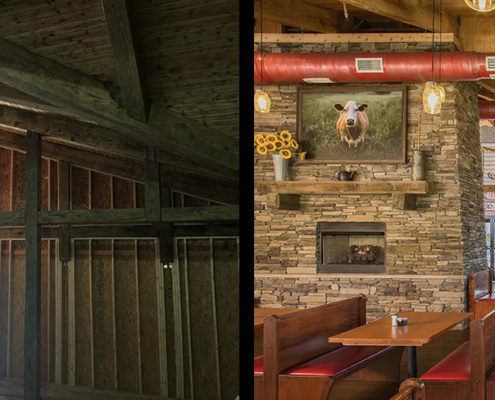 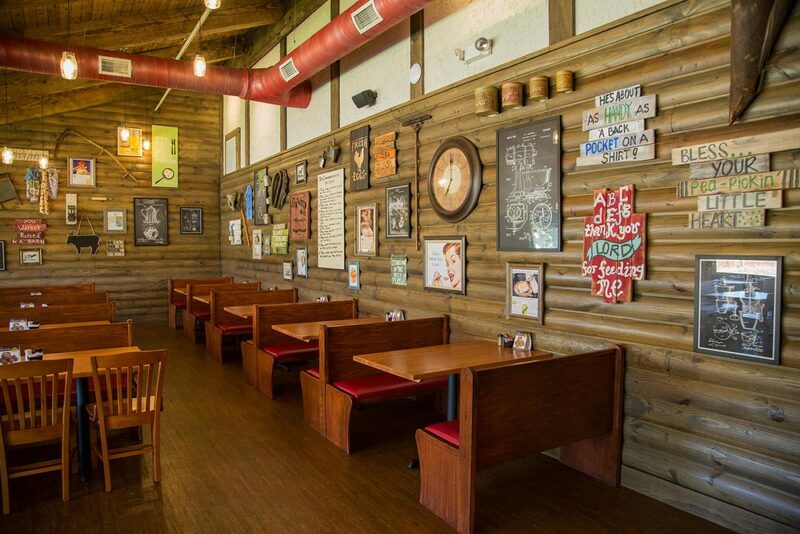 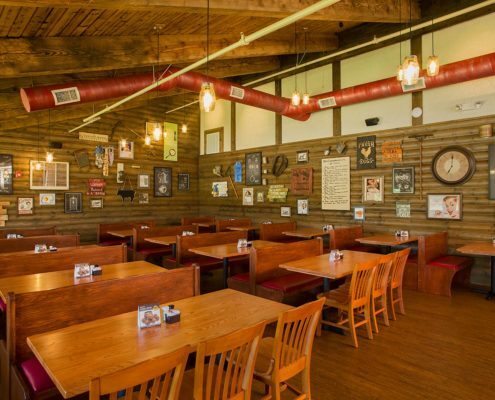 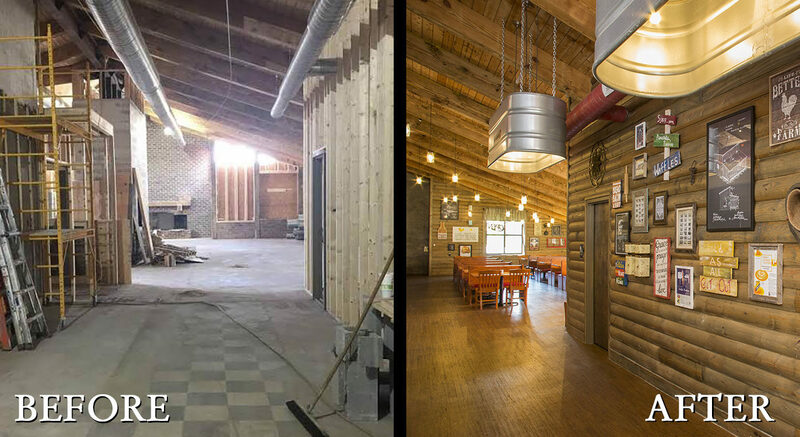 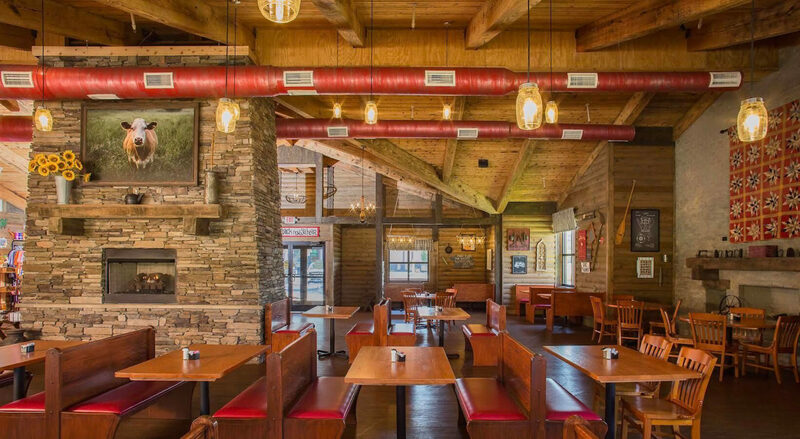 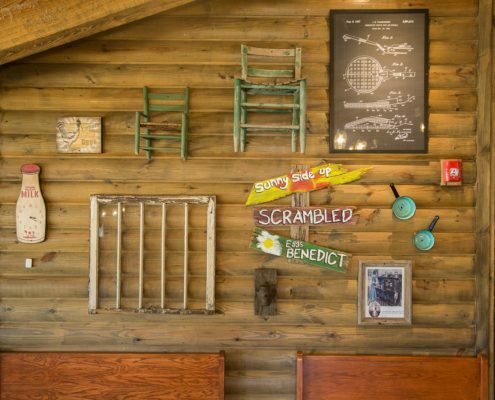 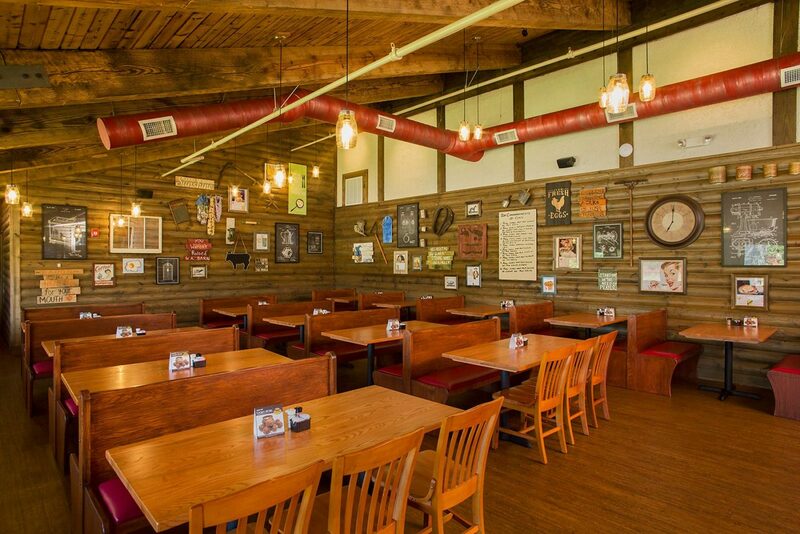 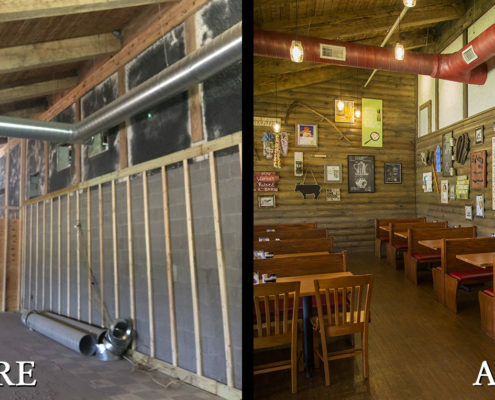 Originally a steakhouse, this Tennessee based company launched their first South Carolina FlapJack Pancake Cabin location in Garden City. 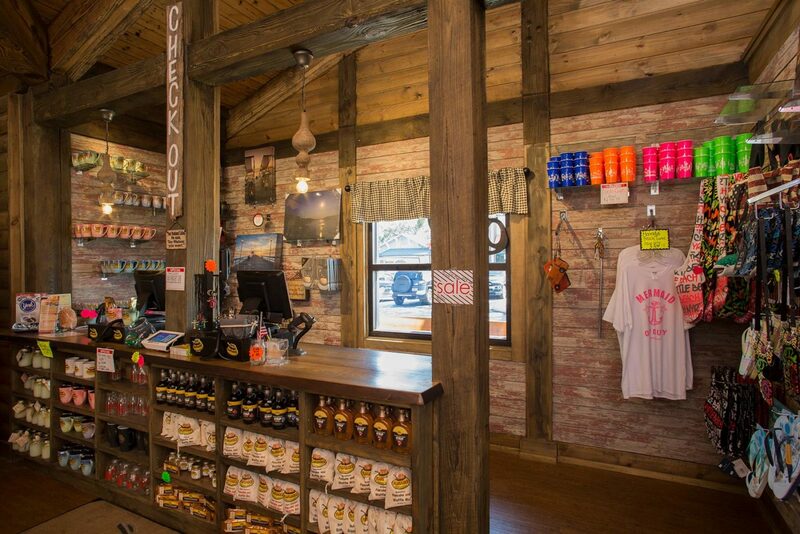 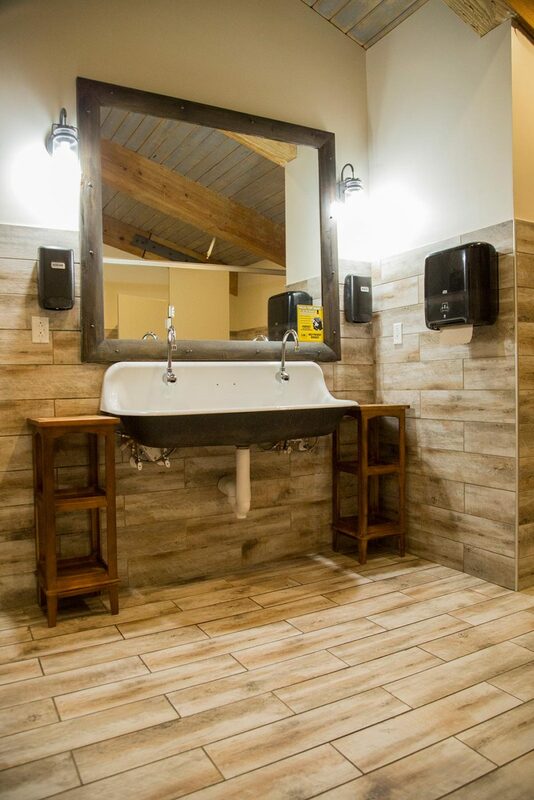 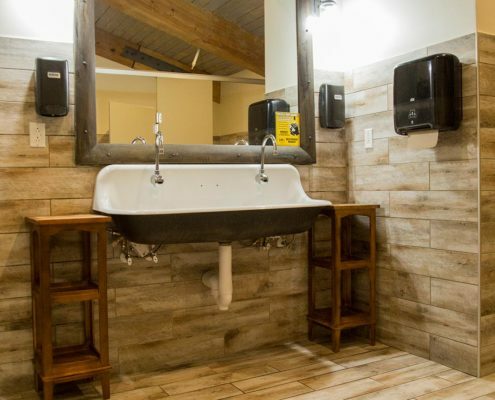 Our goal was to provide guests with a relaxed country atmosphere. 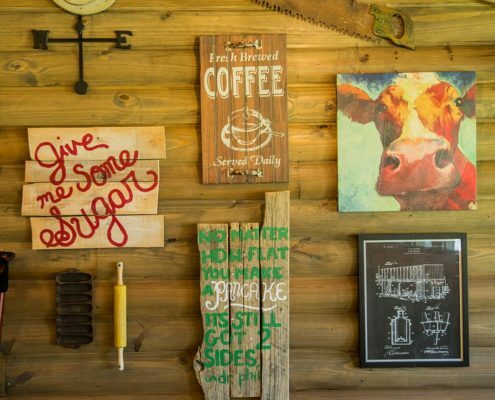 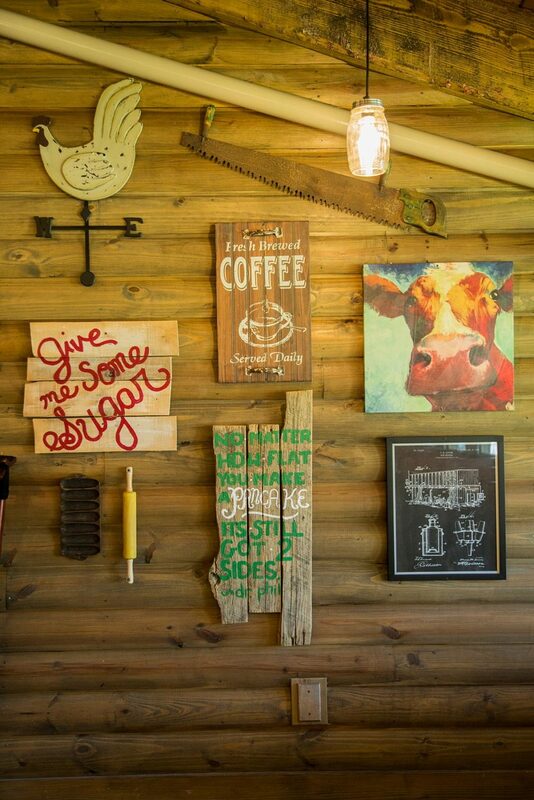 Both locals and tourists are greeted by familiar southern quotes, photographs, and vintage décor. 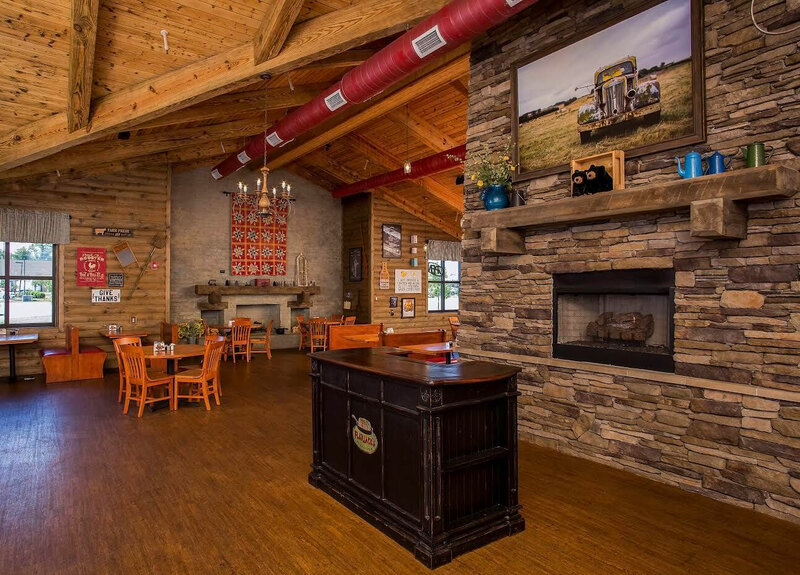 A large two-sided stone fireplace, black and white check curtains, Mason jar lights, log walls, and a quaint country store are just part of the sweet country charm.